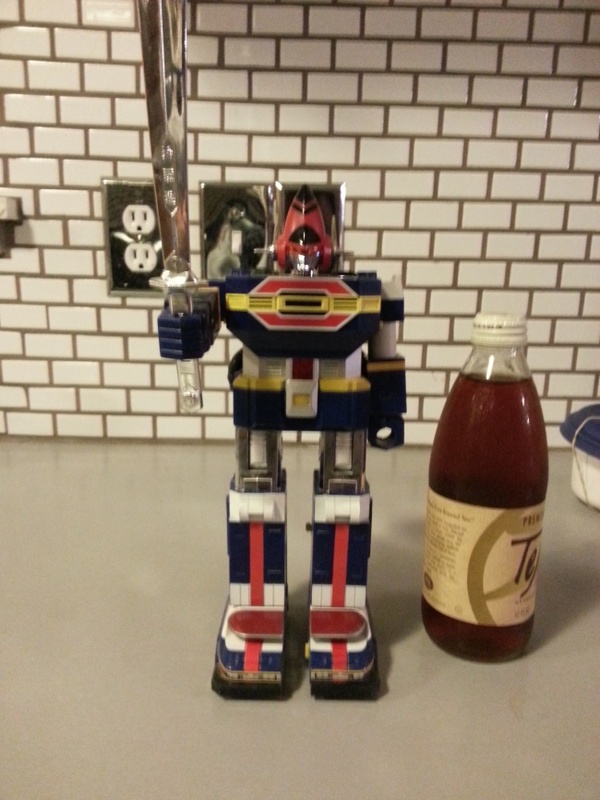 This is the 2nd robot I bought and as usual, from Japantown. I vividly remember going to that store almost 3x a month just to scope out what he had and I’d inevitably come out with a wish list. I think I got into Godaikins because of this guy. I also have the big DX version. 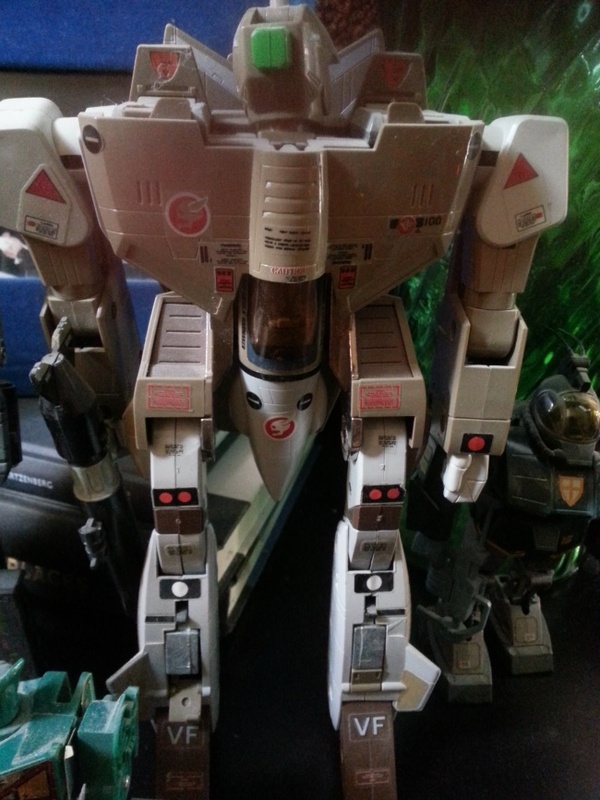 I got this as a present from my parents in 1983. 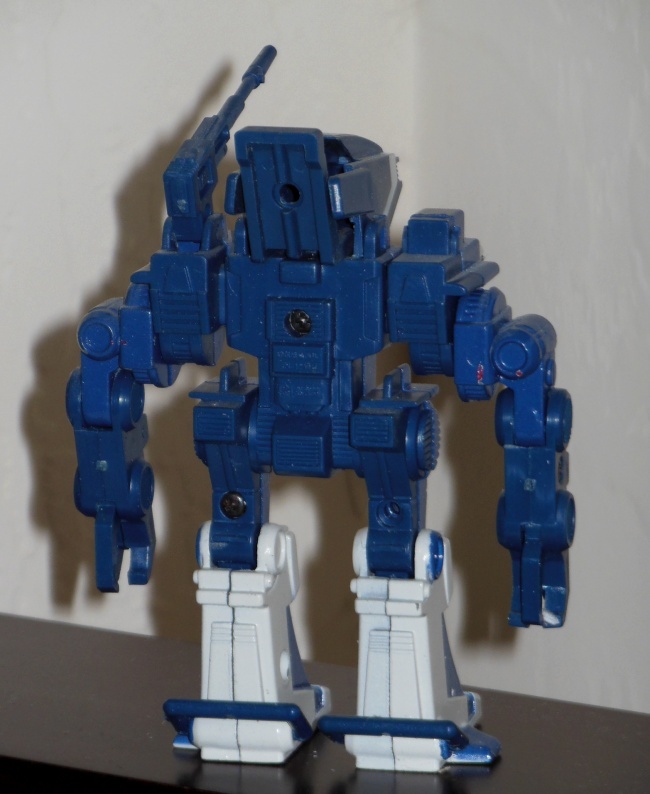 This is the model that Hikaro Ichinose (Rick Hunter in the U.S. release) started out with. He then went onto the J model which was white and red and finally the S model with the skull emblem when Rick Fokker died. I vividly remember seeing this in Japantown and was shocked when they got it for me because it was almost a hundred dollars. 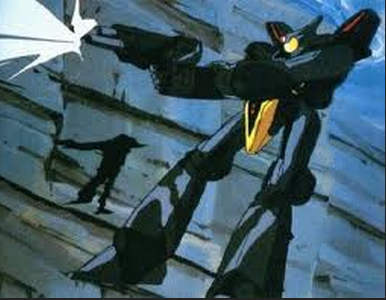 I have a picture from Christmas of me opening the box actually…This is the one that started it for me with Macross. 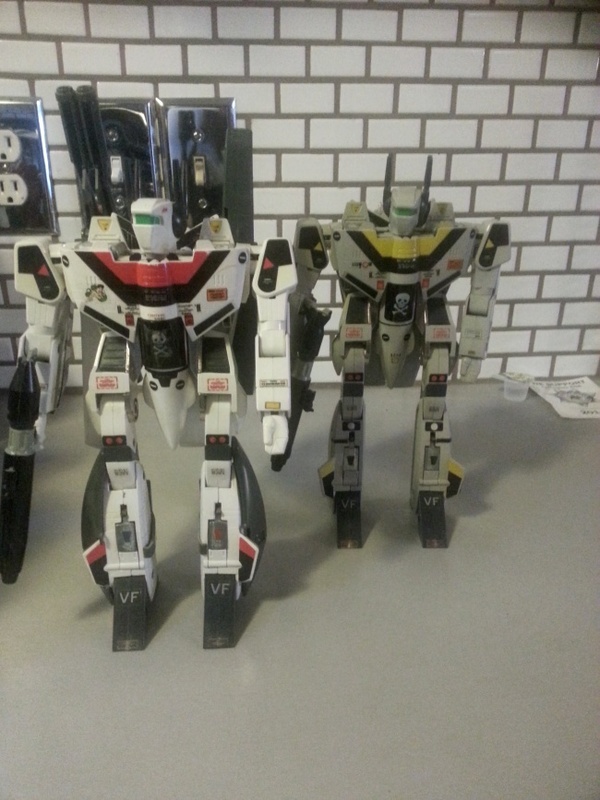 I now have all the original Takotoku and Bandai versions. I finally managed to get the blue/red Valkyries in the early 2000’s when Bandai did a re-issue. 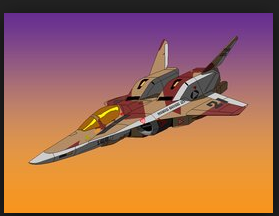 They’ve since done numerous re-issues of the various Macross generations but the first Macross is the one I grew up with. 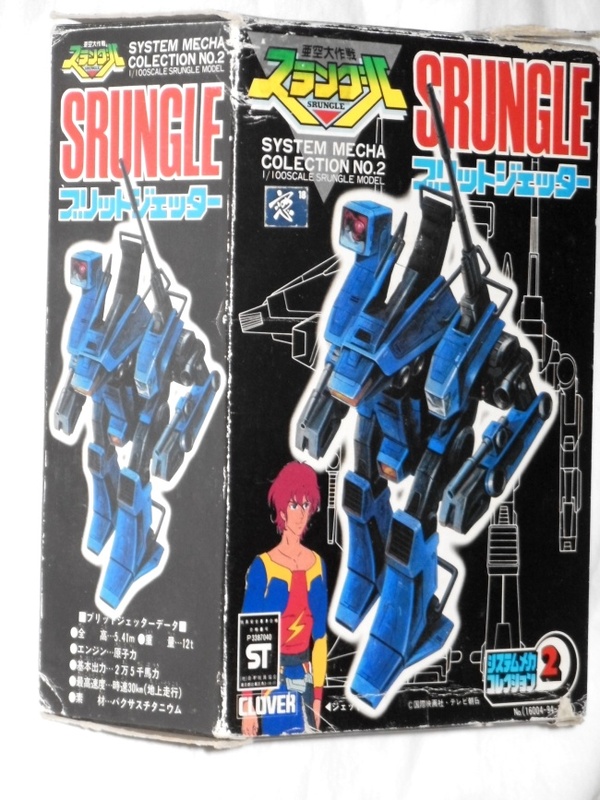 The featured image is the box that this toy came in but I’ve long since gotten rid of the box. I wish I had kept them because Takatoku was known for their great art work and the unique texture on their boxes. 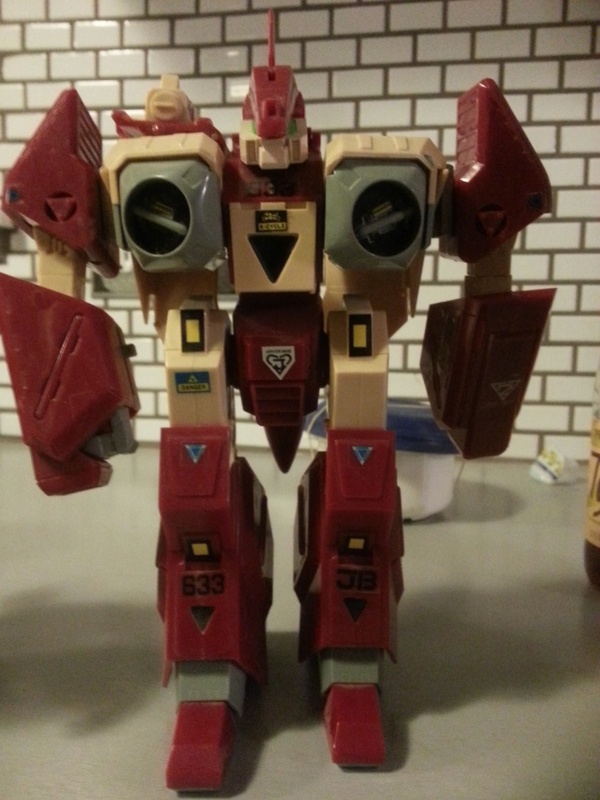 The Red Legioss is part of the Genesis Climber Mospeada series. 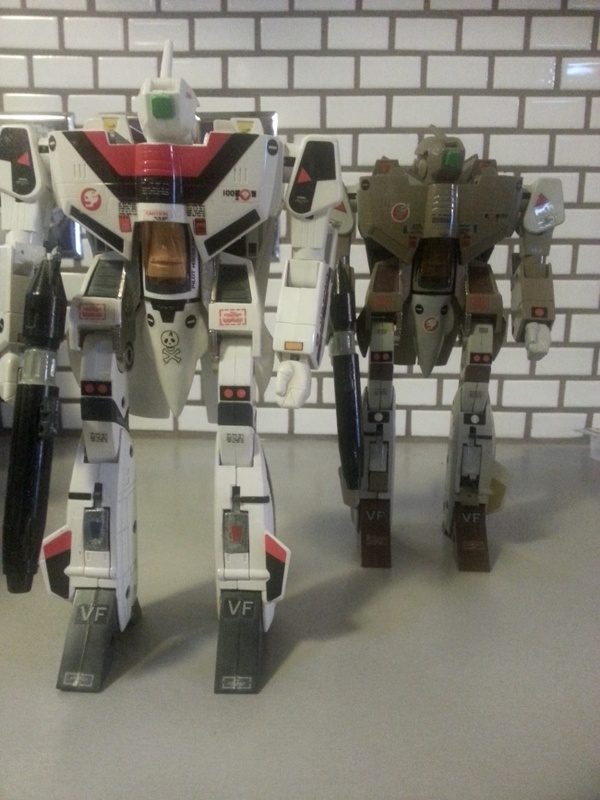 In the U.S. this was the final chapter of Robotech – “The Sentinels.” I never got into this series since they didn’t have the varied mecha like in the “Macross” or “Southern Cross” series that preceded “Sentinels.” I remember buying these two from Gemco (a mass market store that is now a Target). There was a green one which I thought I had but very possible my cousin has it. Still, I’m very happy to have them. 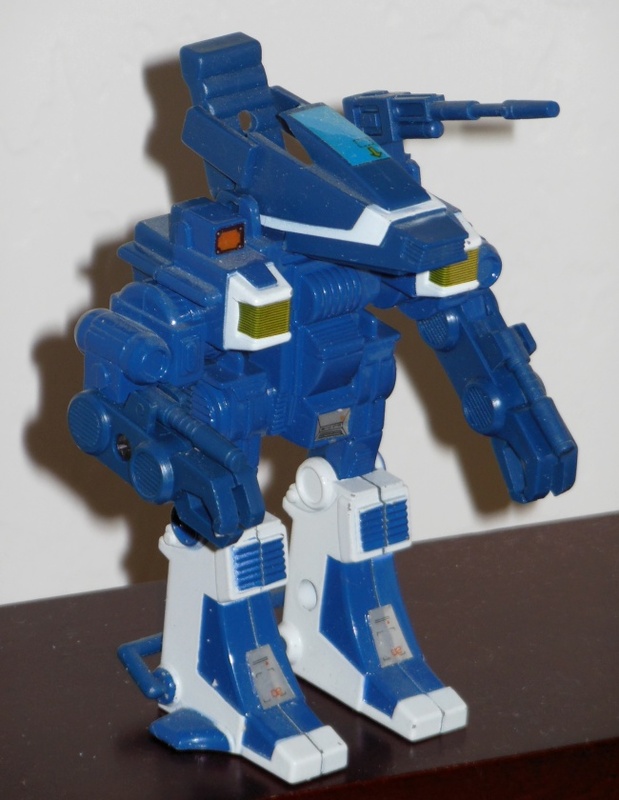 My cousin has this same toy, however, I can’t seem to recall how I got my Mugen Calibur 1983. I do know I got his on a trip to Japan. 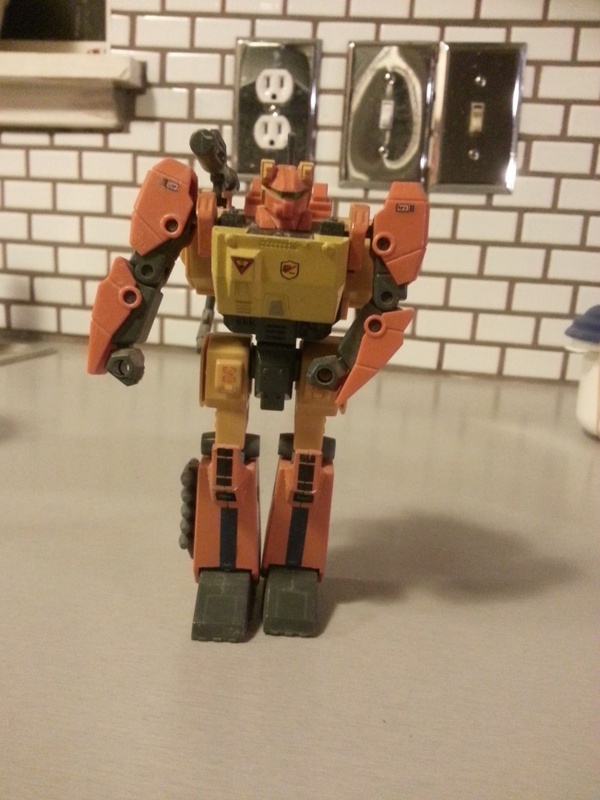 Anyway, he’s already made a post for this robot, complete with box. Still, I thought I’d make my own post so that I could catalog my entire collection. 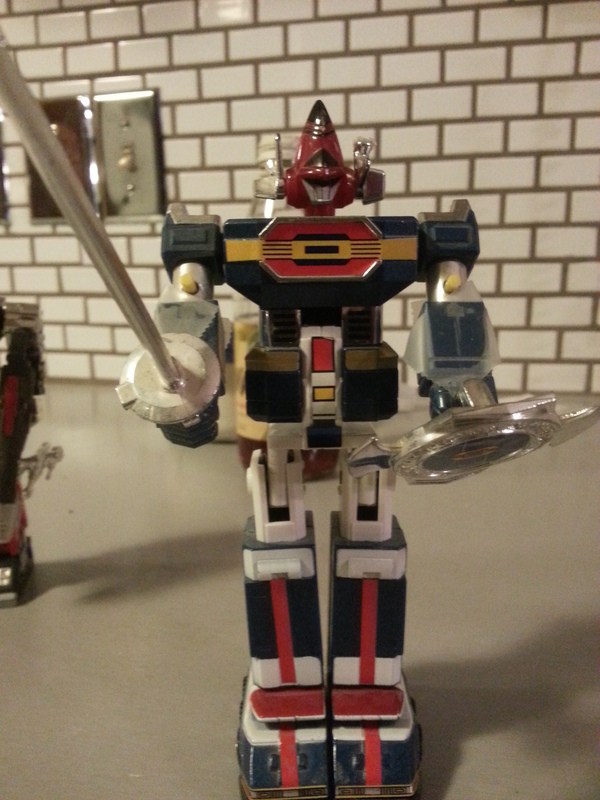 Here’s a Dynaman DX that I bought from the Japanese toy store in Japantown, San Francisco in 1984. I bought so many toys from that shop, I hated to see him retire. I remember he would also have a Nintendo out in the front for the kids to play. He had a display case for all the Godaikins and it inspired me to get the collection. I wish I had kept my boxes. I have lost a lot of the accessories and it would have been a great place to store them. Honestly, not really sure why I got the Britt Jetter. 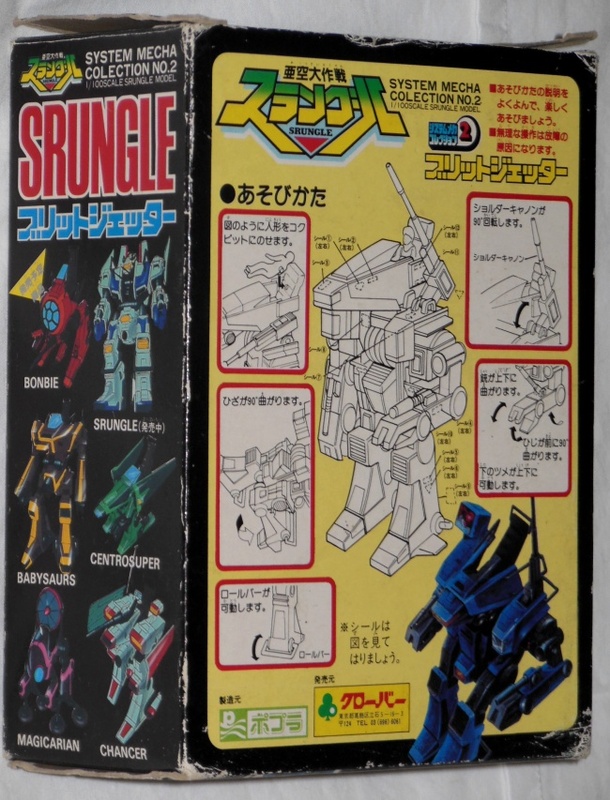 I must have found the box art appealing(I actually like the Srungle ST and DX which are part of this line). But when I opened the box to check out the robot, I was not impressed. This one is a chunk of metal with arms and legs that move. This is one of the worst pieces I own. 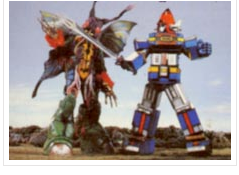 At least with the Shogun Warriors they were classic and appealing to look at. The robot itself reminds of an old 80’s robot I really feel distaste for, the Starriors or a Zoid. If they had only stayed true to the image on the box I think we would have something. 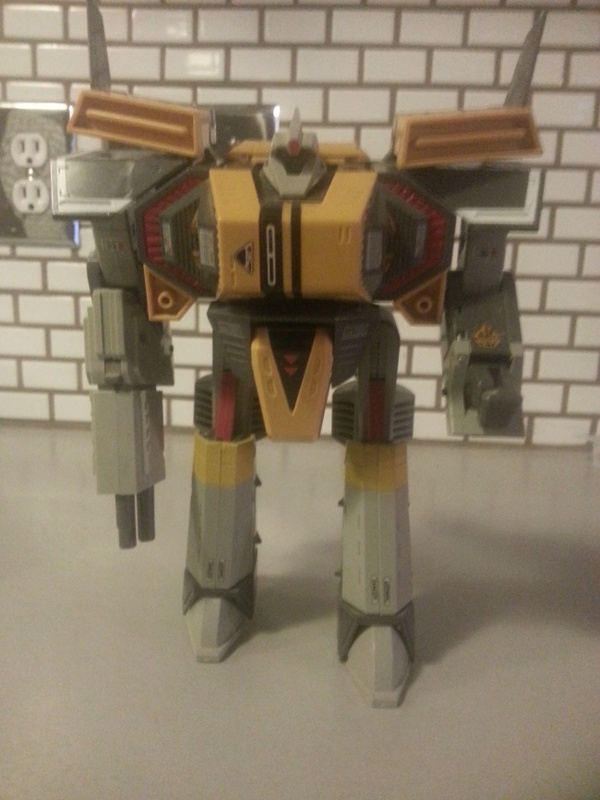 Sadly they made a short, stumpy version of what looks like a pretty decent mech. Though Clover seems to be known for making big clumsy clumps of metal they call robots. I would like to pick up one of their pieces though. The Clover Gundam pieces I feel are pieces of history and I would love to have one. 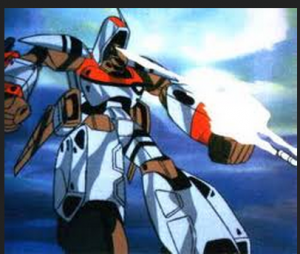 Britt Jetter is from the anime Akū Daisakusen Srungle or Mission Outer Space Srungle from 1983-1984. 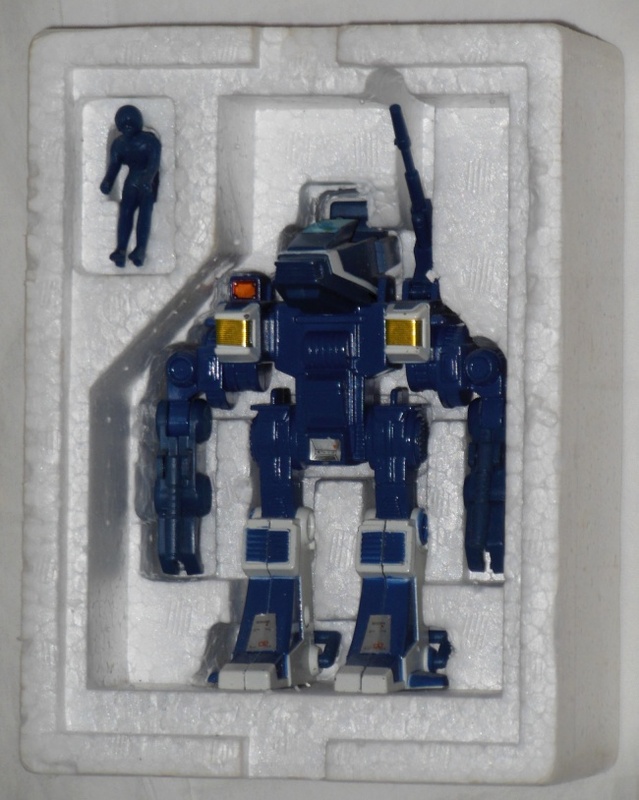 I am curious about the robot on the side of the box Babysaurs. 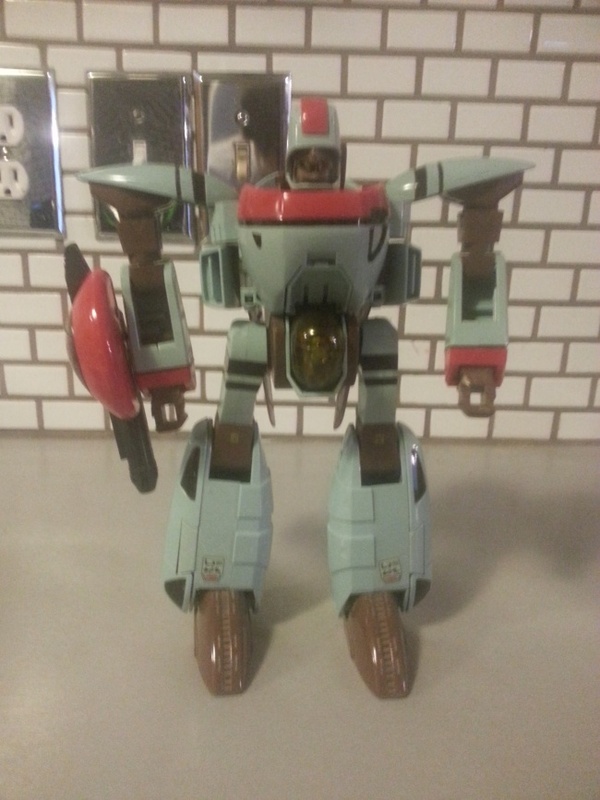 It looks like a cool robot, but never seen it on ebay or on the internet. It is like it does not exist, which is interesting in itself. Maybe I will find it one day.